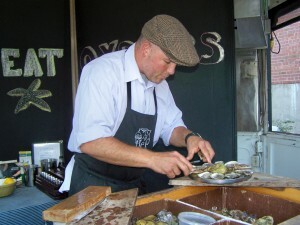 Robert’s mobile catering services include sourcing PEI’s best oysters and seafood and providing serving and shucking; providing shellfish, soups, and sandwiches at events such as the East Coast Music Awards; and, catering a variety of indoor and outdoor weddings ranging in size from 50 to 250. Working with clients, Robert builds the experience and menu that best suits the event. 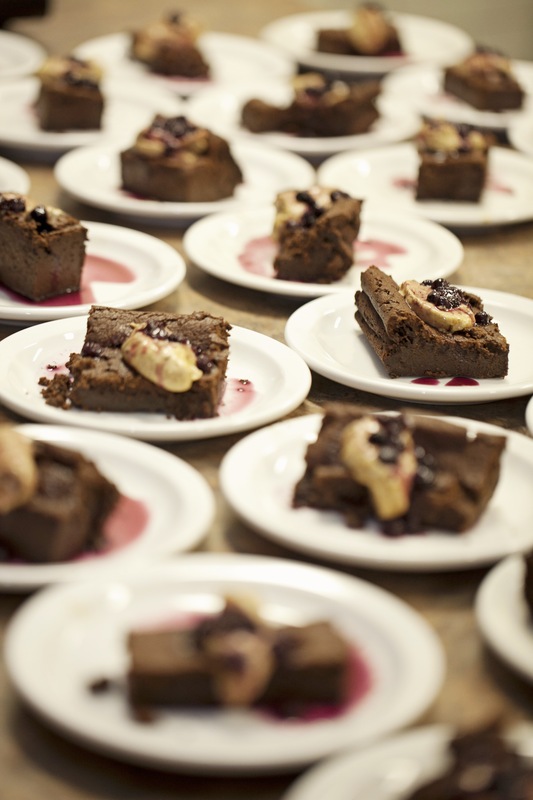 It’s really important to me not just feeding people, but creating a lasting experience. Robert was hired by the Culinary Institute of Canada to provide oyster services for the Royals during their stop on the Island in 2011. One of Robert’s main offerings, these events blend the best of local food with a traditional house party including music. Robert also taps into his Acadian heritage and the Island community for events, such as community meals that include traditional French cooking such as mussels, steak & frites, and soupe à l’oignon. From his years away, Robert has many friends and contacts in the culinary industry and makes regular appearances with fresh Island products at locations such as Montreal’s Nouveau Palais and with Toronto’s Oyster Boy as well as catering other events in those cities. A long-time caterer, providing oyster-shucking services.